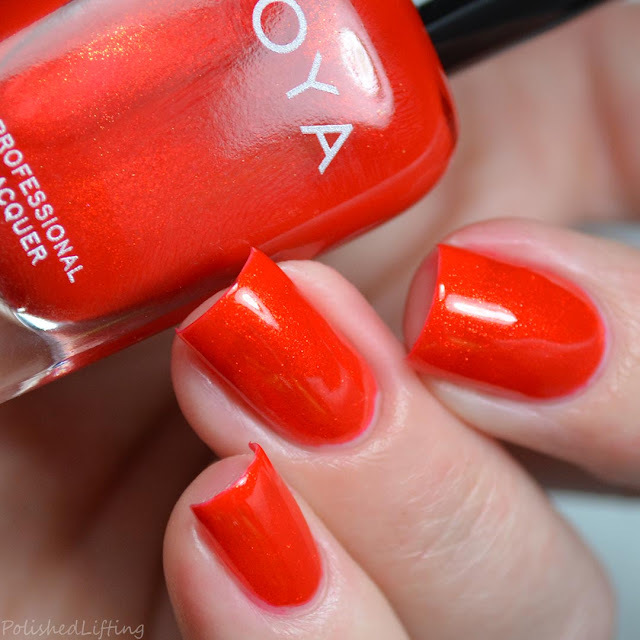 As promised I'm back with the second half of the Zoya Sunshine Collection. I know I said this would be posted last Friday but I was feeling pretty rough post weigh ins and opted for some much needed rest. 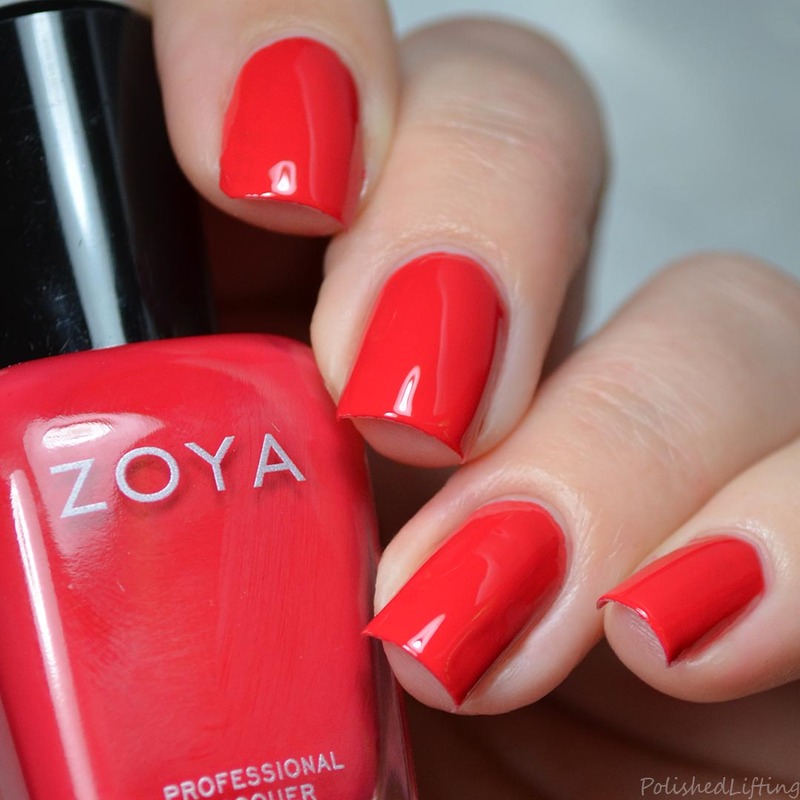 If you missed Zoya Sunshine Collection Pt 1 be sure to check that out too! 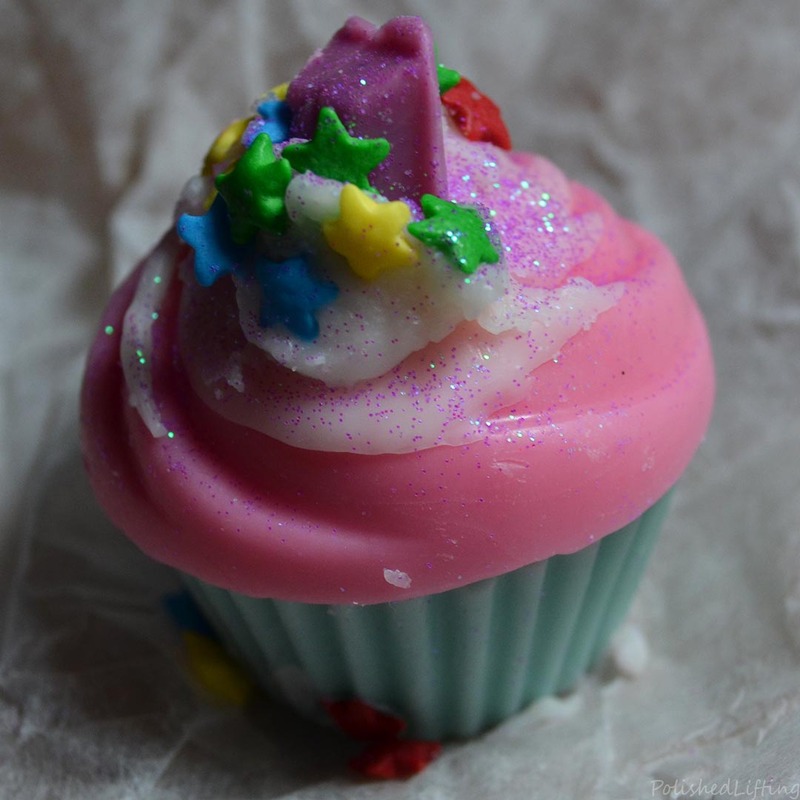 Notes: Delia is a medium tone purple creme that will fit just about any occasion. 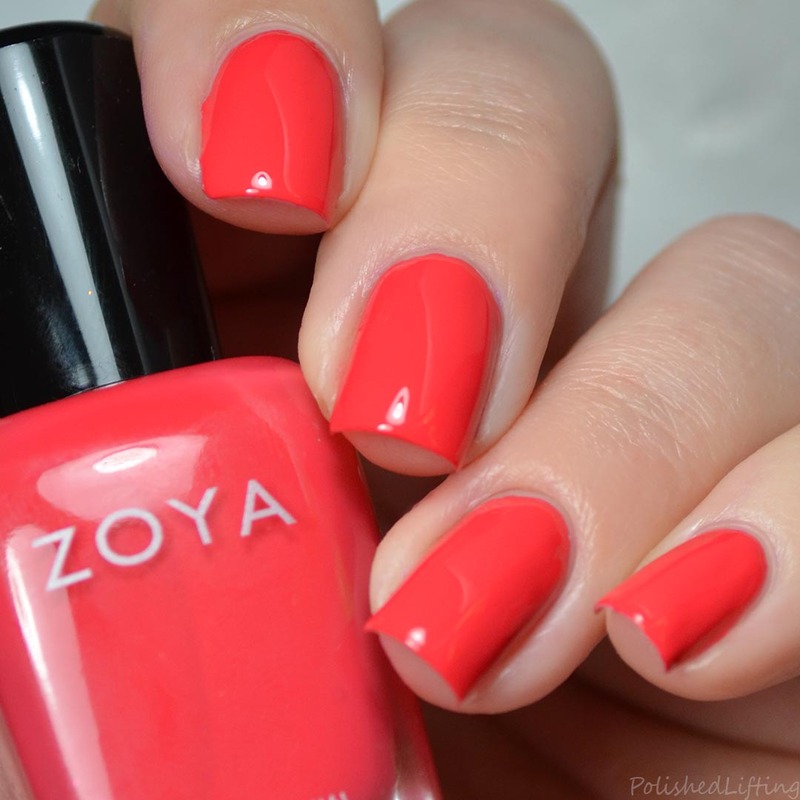 Notes: Virginia is a bright, punchy coral creme. 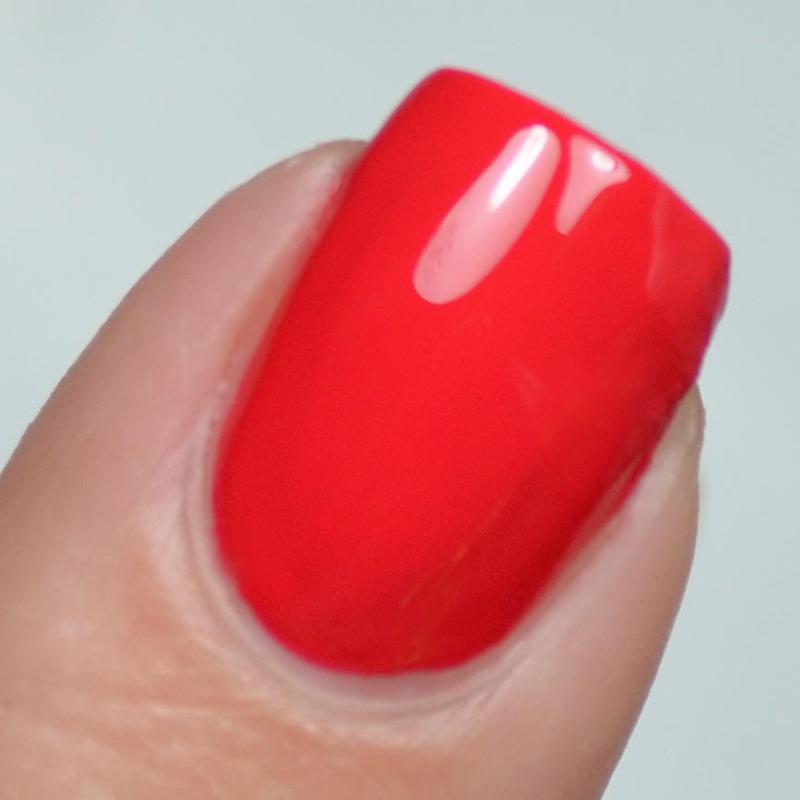 This is a great shade to brighten things up for summer. Notes: Ellie is an ultra bright (almost neon) pink that will be the envy of any pink loving person. Notes: Karen is a surprise favorite of mine. 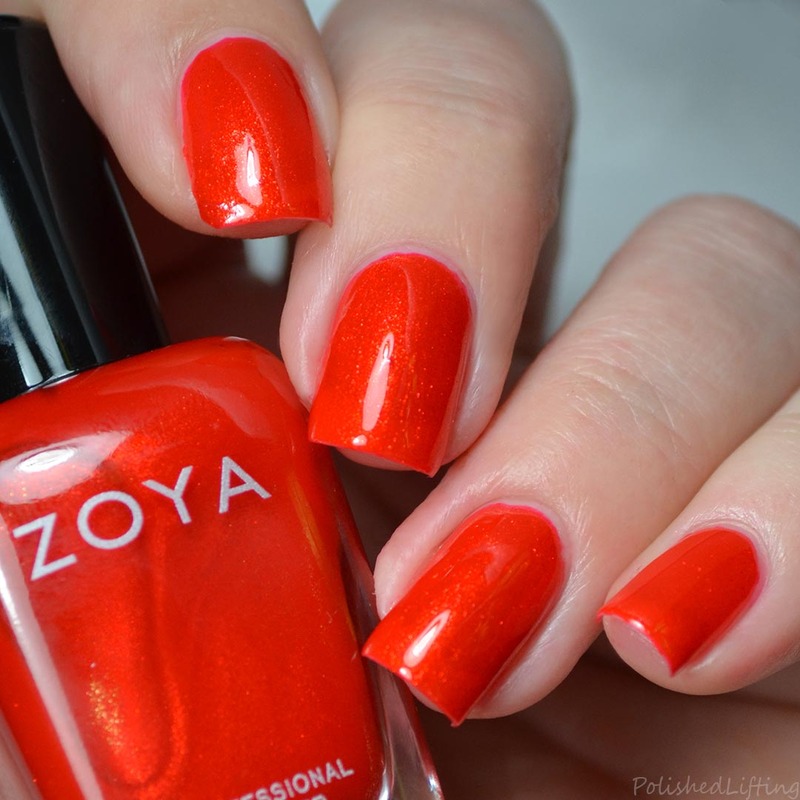 I'm not usually crazy about red/orange/coral but I love this shade. It's nearly bright enough to be a neon which is why I love it! Notes: Marigold is absolutely perfect for its namesake. The gold shimmer is a nice touch. Notes: Nahla can be worn alone or over any color you desire. I think it would look great over just about anything. 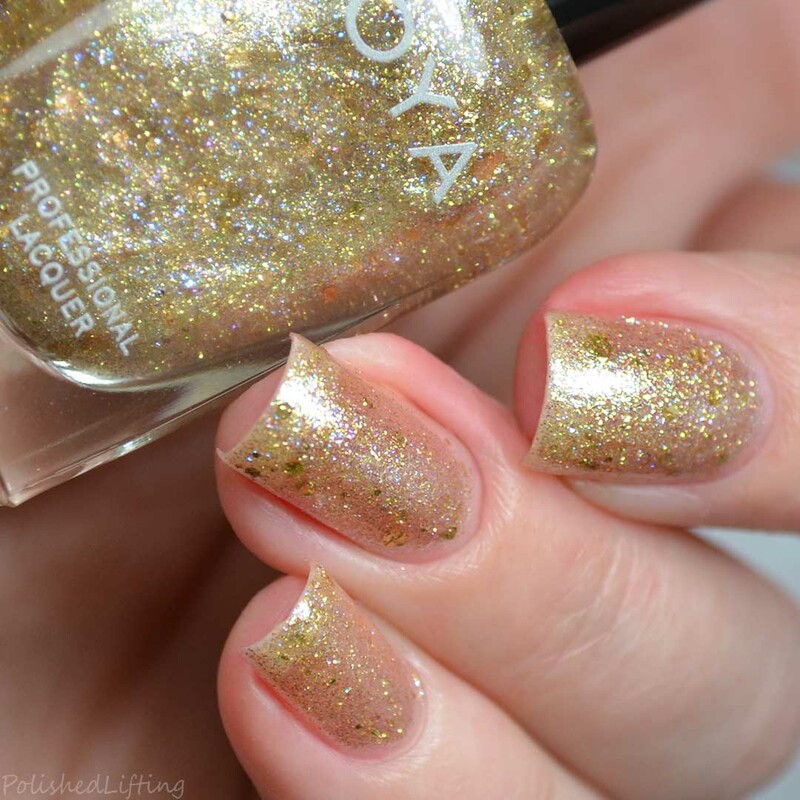 The Zoya Sunshine Collection will be available on their website on May 1st. Be sure to check out the links below for additional swatches and info. 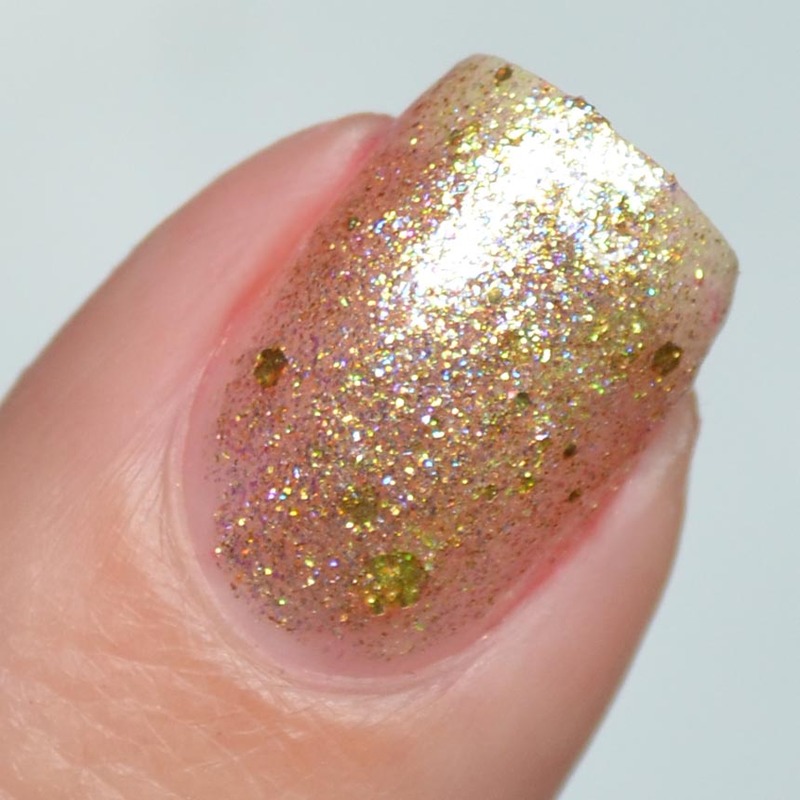 If you enjoyed this post you might like Zoya Naked Manicure Hand and Body System and Zoya Wanderlust Collection Summer 2017 Pt 1. I hope you're ready for the Zoya Sunshine Summer 2018 Collection! This twelve piece collection is sure to be the highlight of your summer. As always, since this is a larger collection I will be splitting this into two separate posts. Be sure to come back tomorrow for the second half. Notes: I'm not huge on shades like these but I have a feeling this might be someone's perfect neutral. Notes: Minnie is so bright and cheerful just like its name. 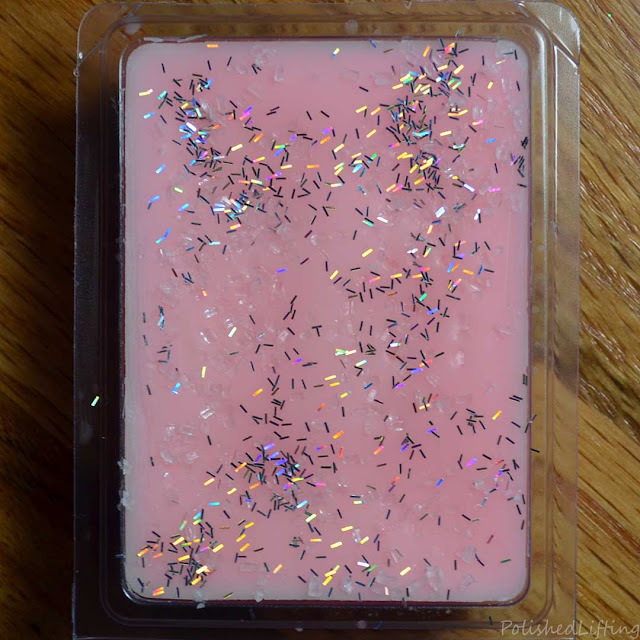 Notes: Sandy is a lovely bubble gum pink creme. I love how bright this shade is! 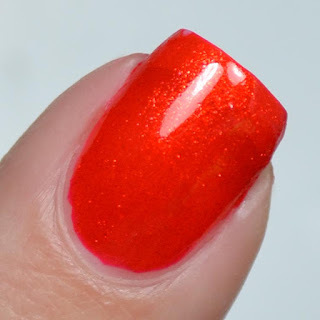 Notes: Clementine is a sweet, coral polish with a shimmery dusty finish. Notes: If you enjoyed Leia, I think you will really enjoy Saldana. 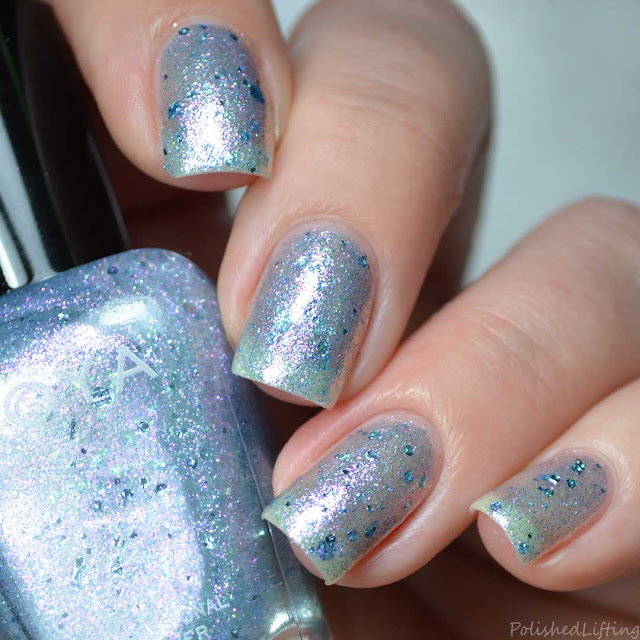 It shares the same color shifting shimmer as Leia, but Saldana has blue shimmer and glitter. Notes: Missy is like a toned down version of Sandy. Both shades are quite nice and would go well together. 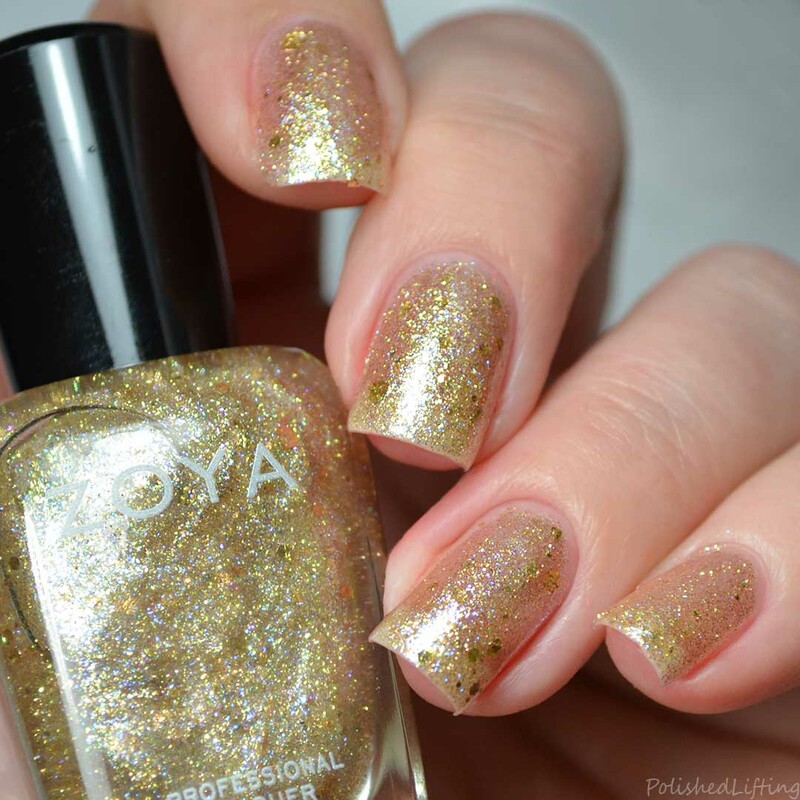 The Zoya Sunshine Collection will be available on their website on May 1st. Be sure to check out the links below for additional swatches and info. Stay tuned for the second half of the collection coming tomorrow! 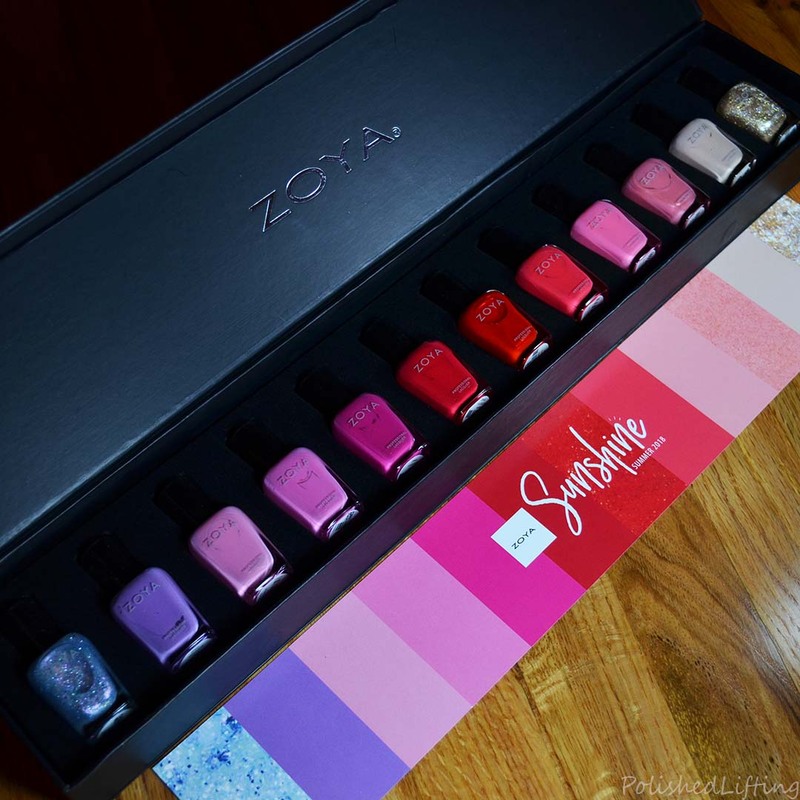 If you enjoyed this post you might like Zoya Wanderlust Collection Summer 2017 Pt 1 and Zoya Wanderlust Collection Summer Pt 2. May is approaching quickly, and I'm sure you're all excited to see what's in store for the Scofflaw Nail Varnish Polish Pickup shade. The upcoming release is Twelve CDs For One Cent. 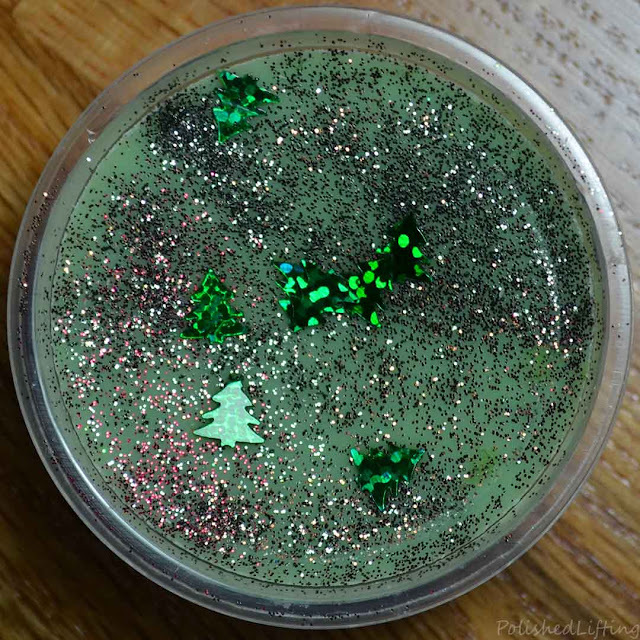 It's a lovely teal packed with glitter and shimmer. Notes: Scofflaw really knows how to make a great crelly. I'm always delighted with the color combos she creates, and Twelve CDs For One Cent is no different. 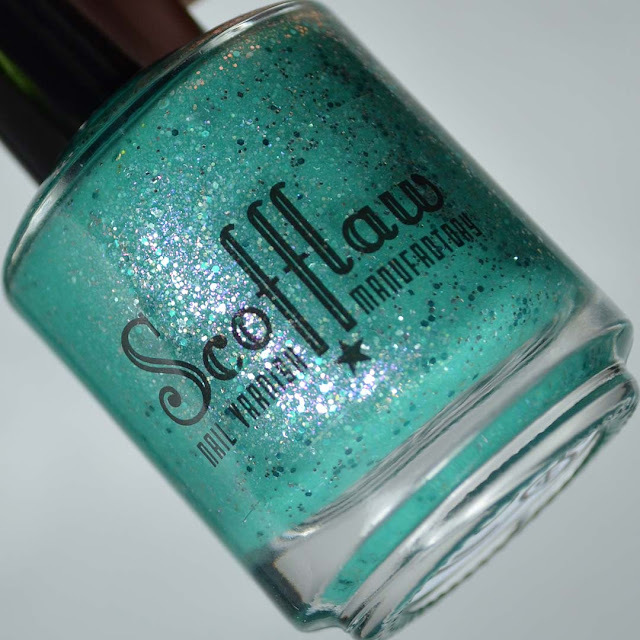 Scofflaw Nail Varnish Twelve CDs For One Cent will be available through the Polish Pickup this May. The shop is open from Friday, May 4th at 11am EST through Monday, May 7th at midnight EST. There is no cap on Twelve CDs For One Cent. If you enjoyed this post you might like Scofflaw Nail Varnish Radioactive Kraken & Radioactive Sea Monkey LE and Scofflaw Nail Varnish Life On Mars? | Polish Pickup April 2018. It's been a hot second since I've done a full wax post, so I thought it was time I shared my most recent Empire Alchemy Wax melts. Some of these were melted quite recently (yesterday) while others were from a few months back (hence the use of a snowman warmer). 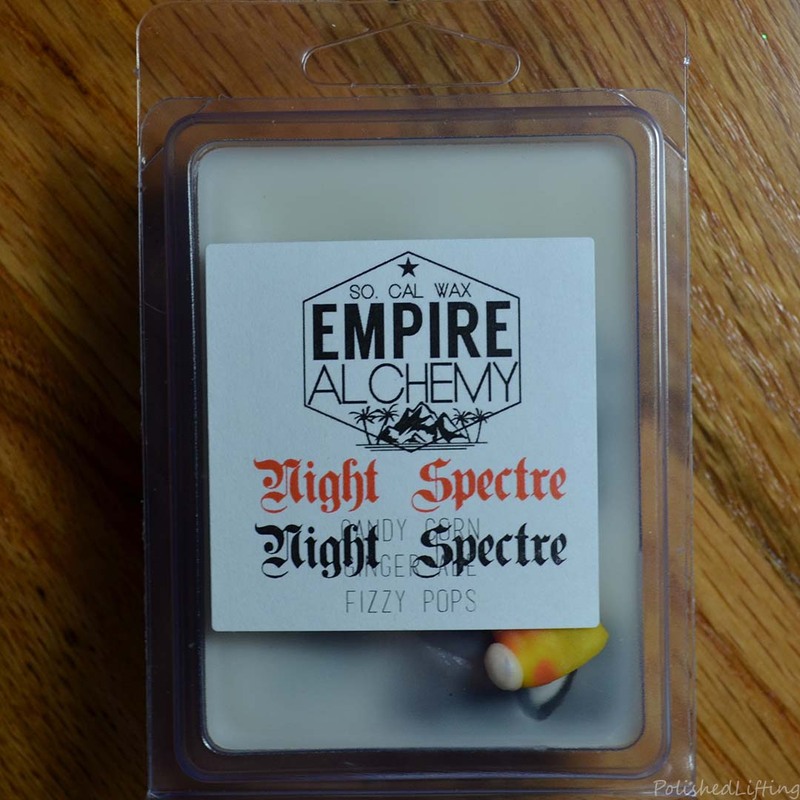 If you're new to Empire Alchemy Wax, she has a ton of unique blends and fun shaped melts. Some of my favorite blends have been more on the fresh/fruity side. She does well with all scents but I think she has some especially great fresh/laundry/spa based scents. Notes: I'm not wild about lavender but I do enjoy it from time to time. This was the perfect blend of sweet and floral. 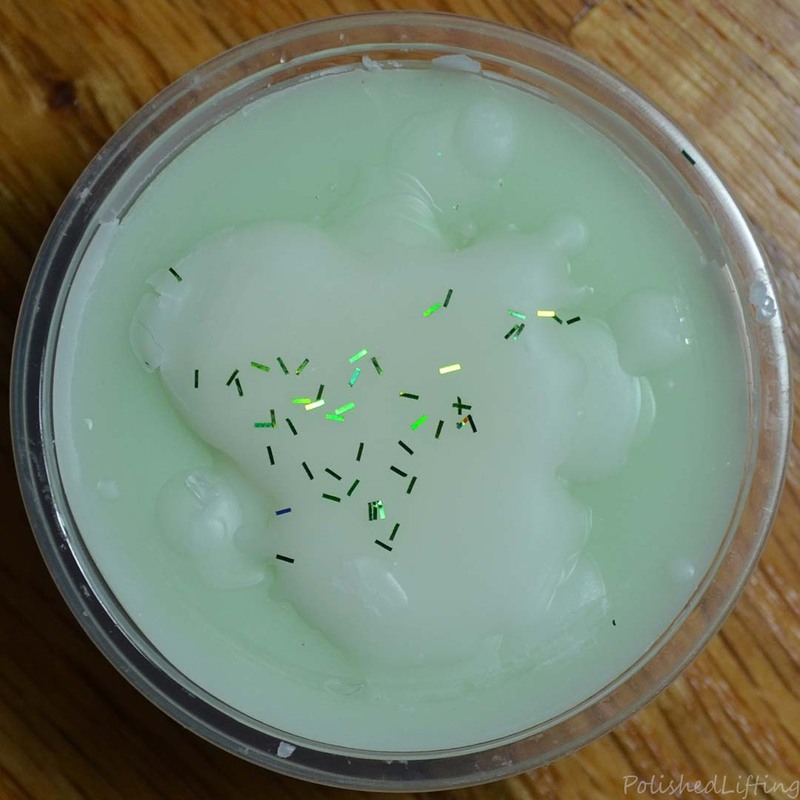 Notes: This is a nice, clean scent, but it's not something I could see myself melting more than once or twice. 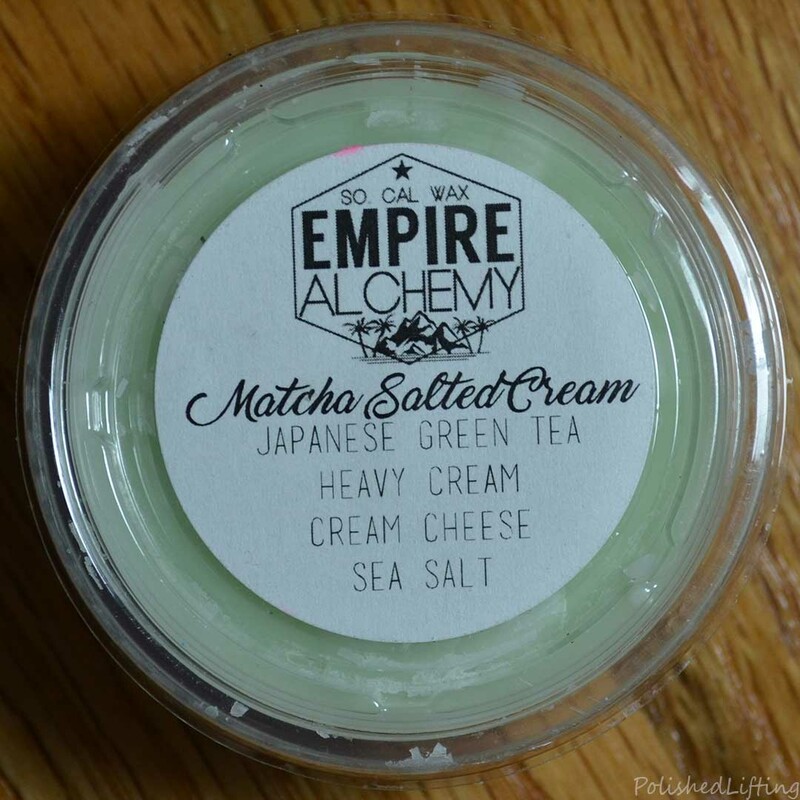 If you enjoy spa scents this is definitely worth checking out. 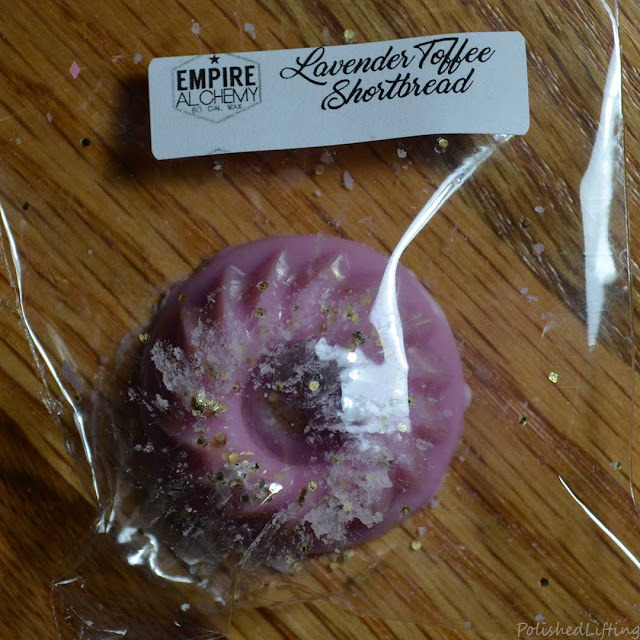 Notes: I actually didn't care for this the first time I melted it, but the scent really grew on me. I am down to my last cube as of today. Notes: I loved this scent but I wish it was a bit stronger. 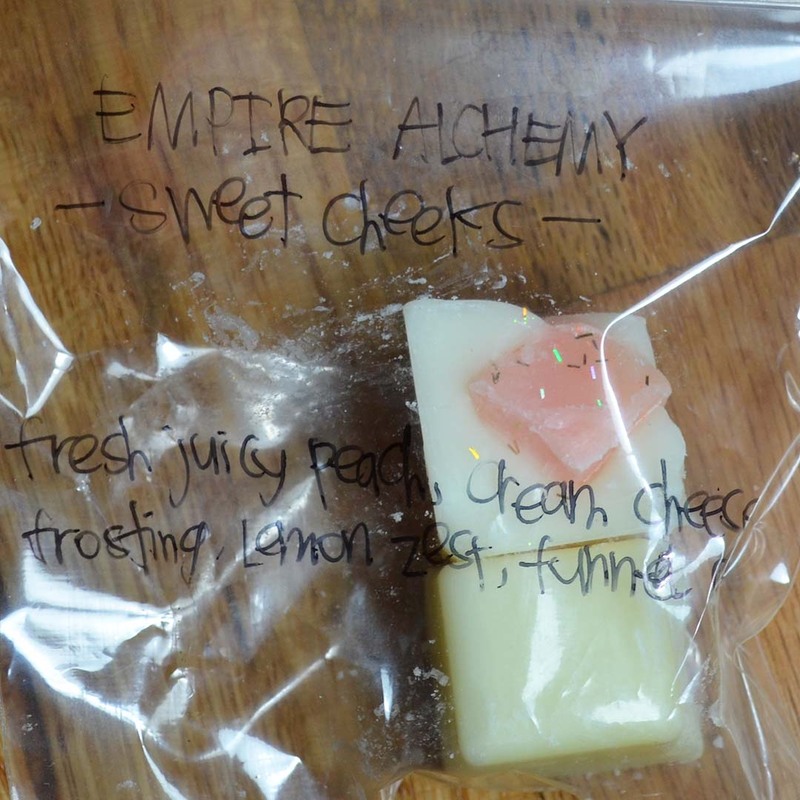 Notes: I wasn't sure about this scent based on the description because I couldn't imagine how these scents would blend. I have to say, this was quite a delightful surprise! 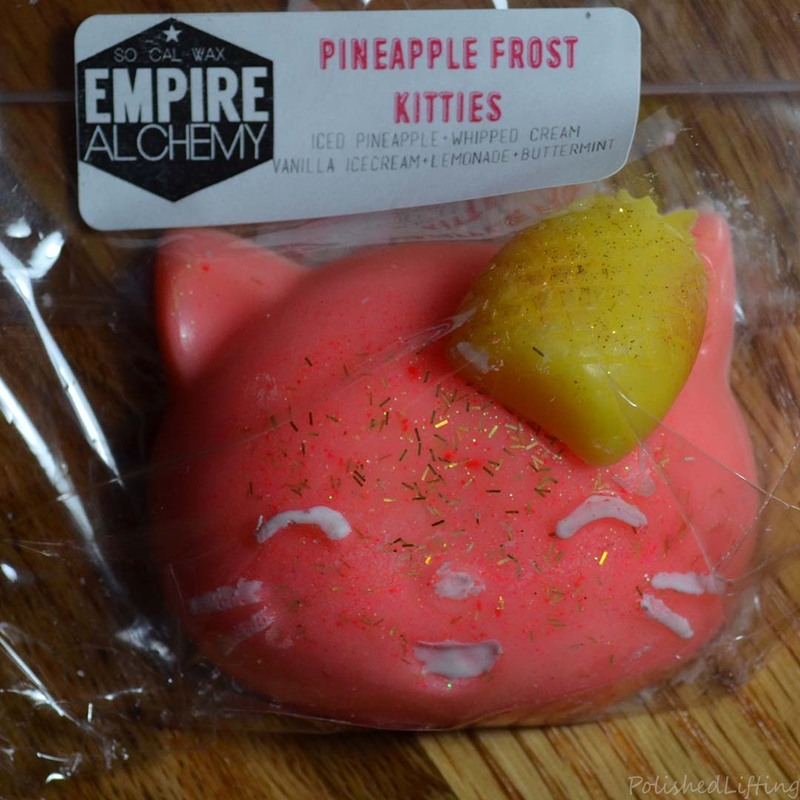 Notes: I enjoyed this scent but I'm not sure how often I would melt it. 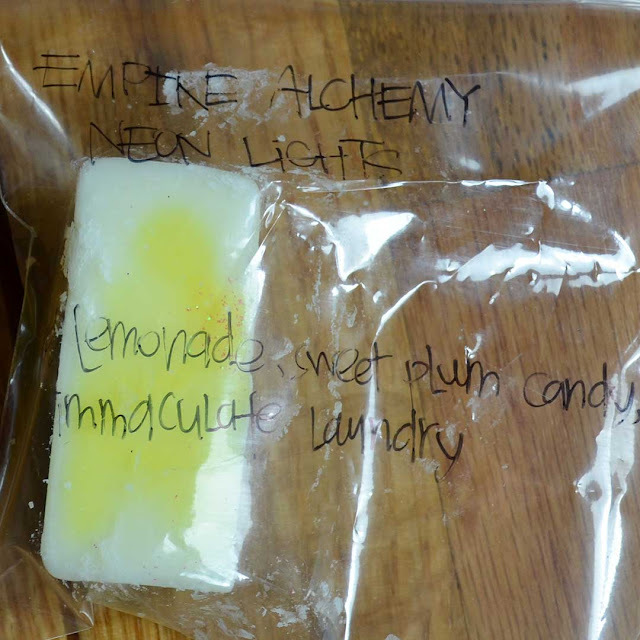 Notes: This is a fairly light scent, so the throw isn't too strong. That said, it's a nice scent and I don't mind the weaker throw. 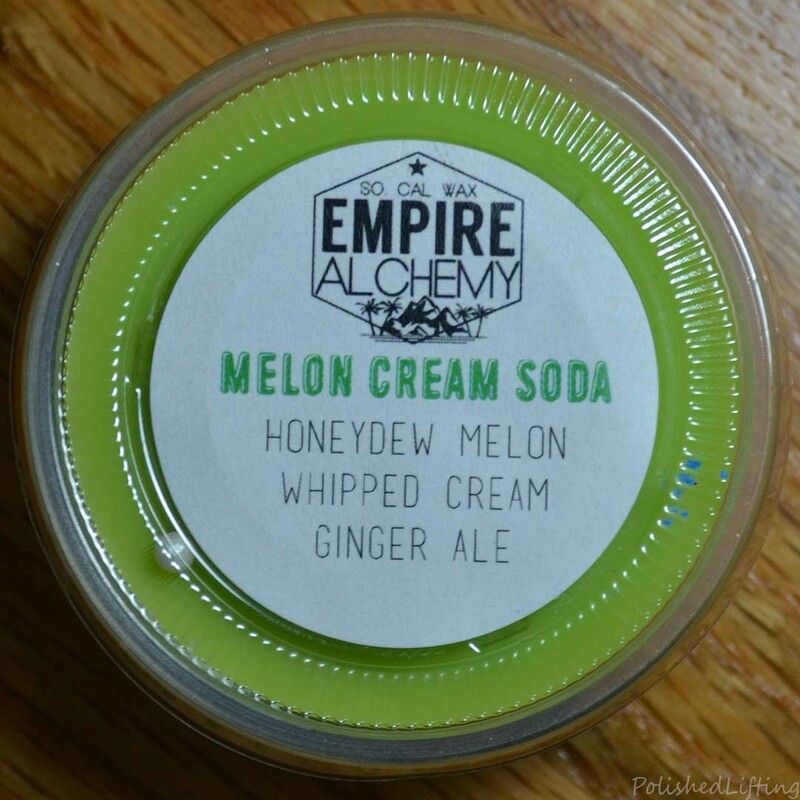 Would I repurchase: Maybe at some point. It's a good scent but I don't know how often I would melt it. 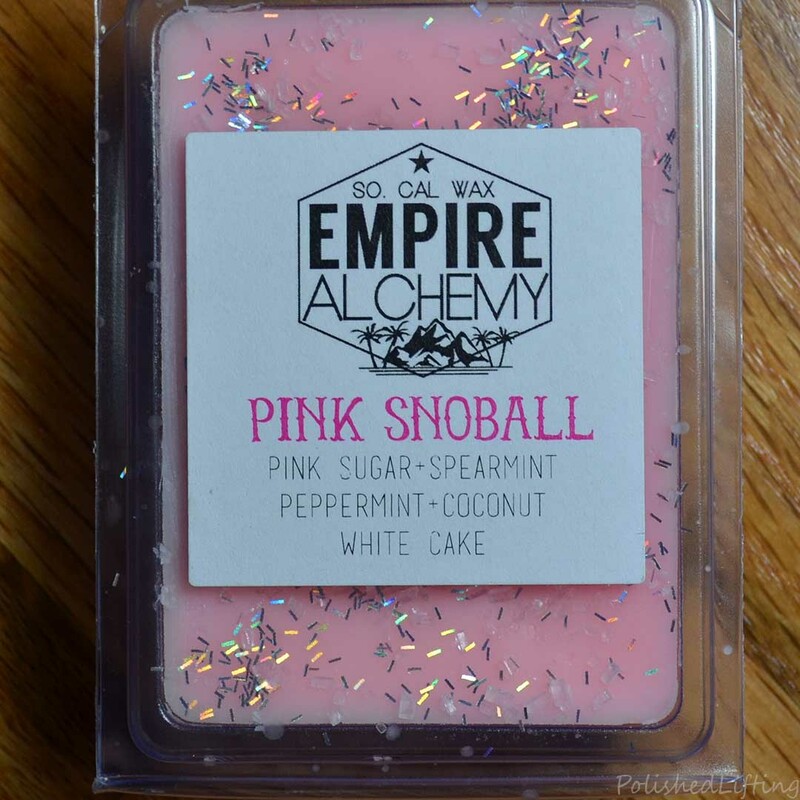 Notes: I wasn't sure about pink sugar + mint but it really started to grow on me. Notes: I didn't find the salty sea air to be very prevalent in this blend. I do like salty sea air, but I appreciate that it wasn't a top note in this scent profile. 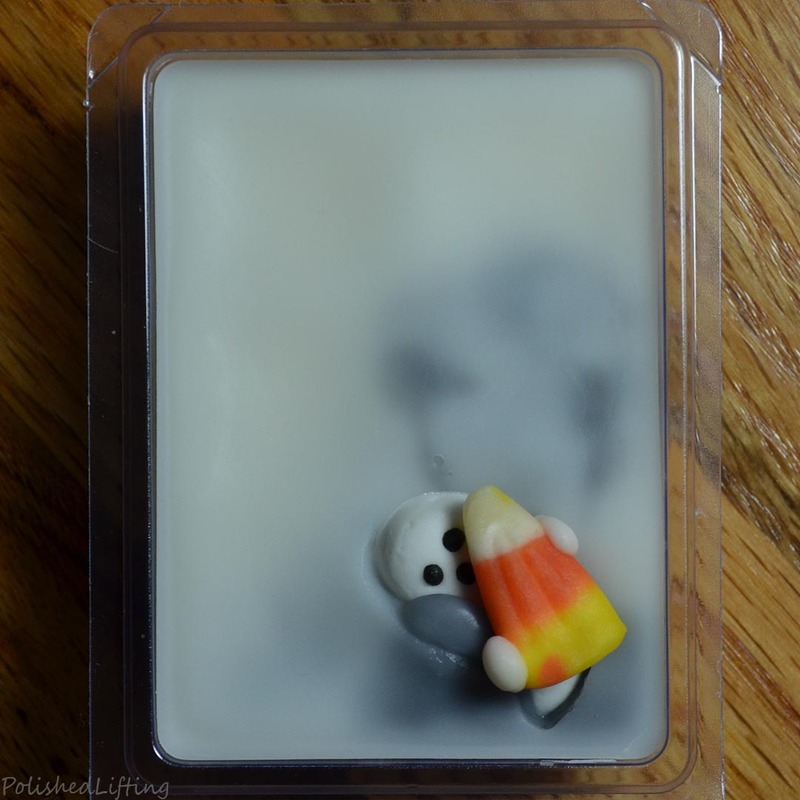 This had around five months of cure time before melting. The scent wasn't overwhelmingly strong but it may perform better in a hotplate warmer. 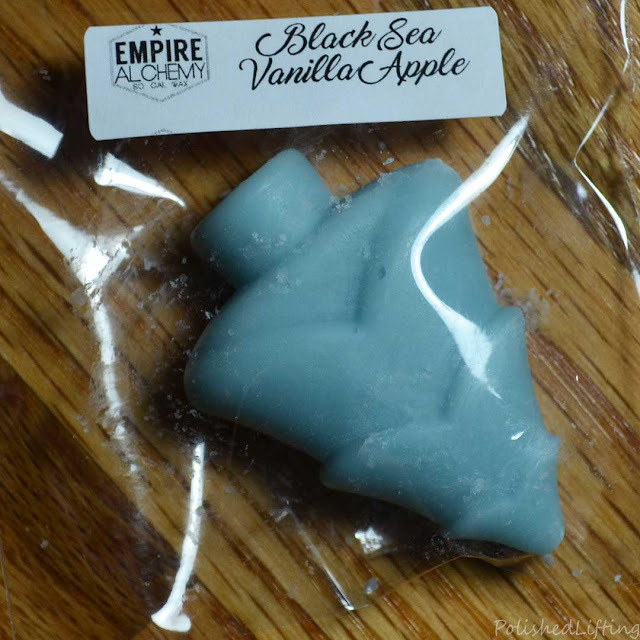 Cold sniff: Sweet, salty marshmallow and maybe a touch of caramel? Notes: While this is a nice scent, I don't see myself melting this too often. It might be a good blender scent. Notes: I'm not a huge peach person, but I really enjoyed this blend. It was just the right amount of peach to be "bright" without being overwhelming. 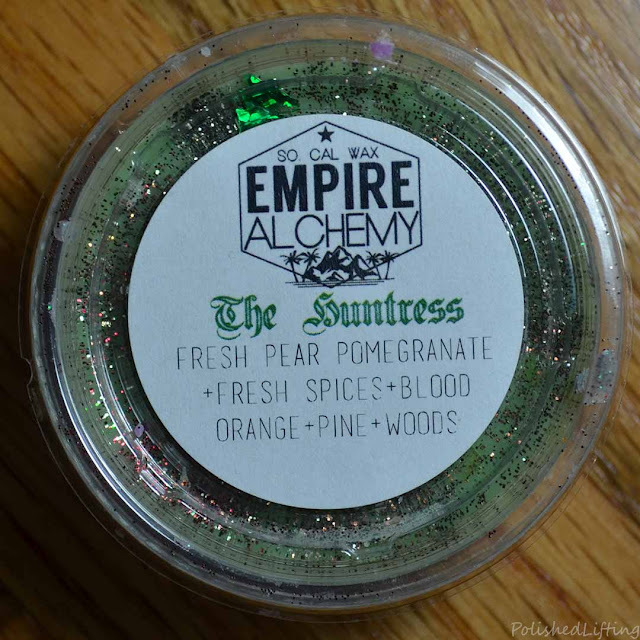 Notes: I absolutely love this blend. I could see this being a regular melt in my house. 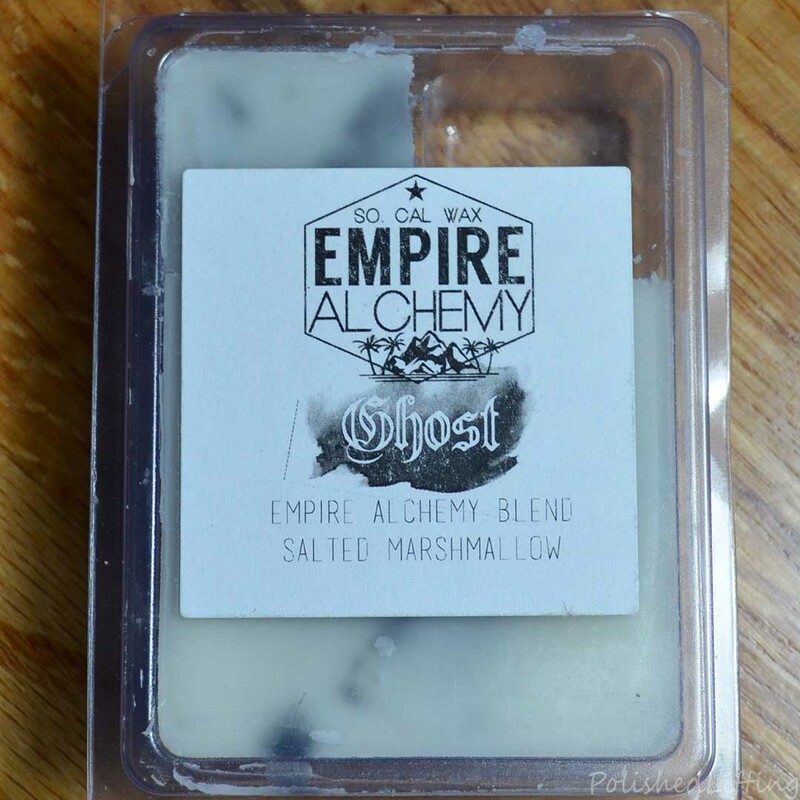 Overall there were a lot of great melts from Empire Alchemy Wax. 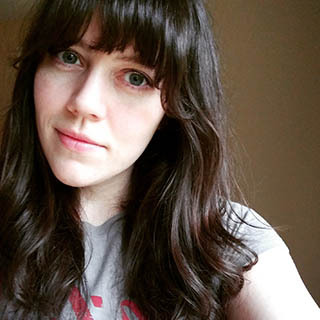 There's a restock coming up soon, so you might want to join her fan group for more info! 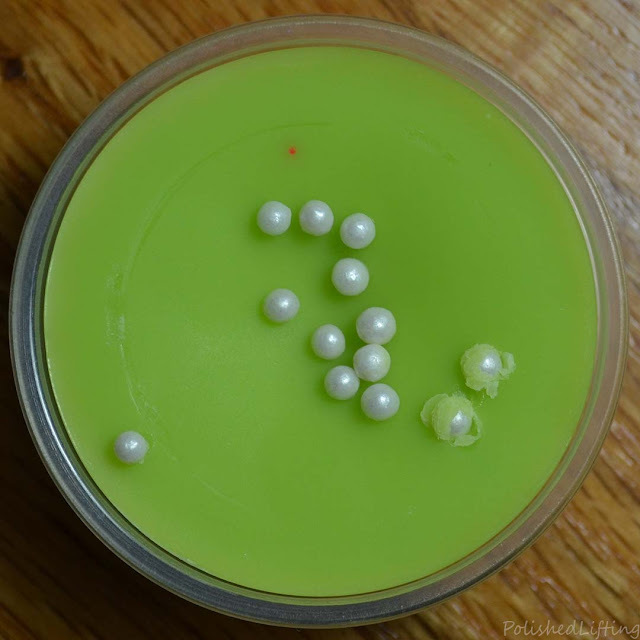 If you enjoyed this post you might like FlowerFinery Aromatherapy Miscellaneous Wax Melts and Savannah Blue Wax Miscellaneous Melts.